The Uttarakhand High Court today deferred to April 18 the hearing on a batch of petitions relating to the ongoing political crisis in the state after nine disqualified rebel Congress MLAs sought adjournment on the ground that their counsel was not available. The Uttarakhand High Court today deferred to April 18 the hearing on a batch of petitions relating to the ongoing political crisis in the state after nine disqualified rebel Congress MLAs sought adjournment on the ground that their counsel was not available. The bench comprising Chief Justice K M Joseph and Justice V K Bist made strong comments on the plea of the rebel MLAs telling them that “it was made clear yesterday that the hearing will take place”. It then posted the matter further hearing on April 18 when Attorney General Mukul Rohatgi will open the argument on behalf of the Central government. The court is hearing a batch of petitions filed by the Central government, former Chief Minister Harish Rawat and former state minister Indira Hridayesh on issues like imposition of President’s rule, promulgation of finance ordinance by the Centre, disqualification of the rebel congress MLAs and subsequent decision of a single-judge bench allowing voting rights to rebel lawmakers. Rebel Congress MLAs have sought permission to intervene as a party in the ongoing matter and have challenged their disqualification by the Speaker. Yesterday, Centre gave an undertaking in the Uttarakhand High Court that it will come to it before any decision is taken to lift the President’s rule in the state after Congress made a strong pitch for the first right to form government. The court had also extended till April 18 the operation of its earlier order by which it had kept in abeyance the direction of the single judge bench that floor test be held. 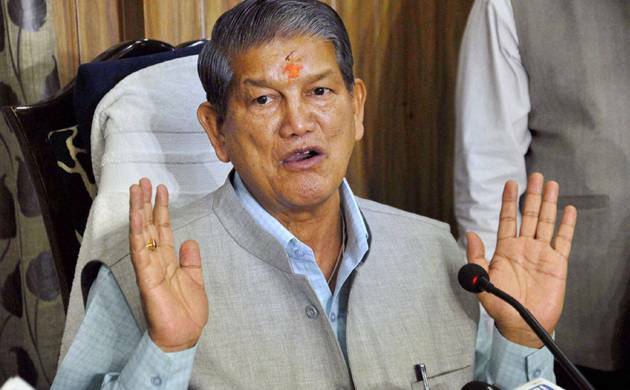 During the proceedings yesterday, Rawat had sought a direction to the Governor that he should be asked to form the government first if any decision to revoke the Presidential Rule is taken by Centre during pendency of his main petition. The ousted CM also apprehended that Centre in “connivance” with the state BJP may revoke the Presidential Rule during the pendency of the case and deny “rightful opportunity” to him to form the government making his petition infructuous.